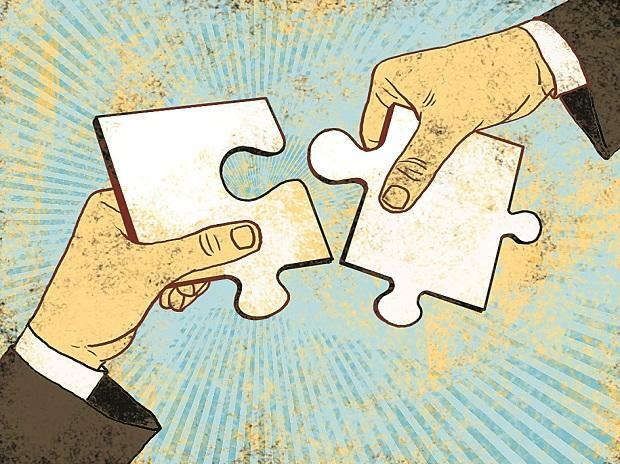 2018 can be christened the ‘Year of M&As’, as mergers & acquisitions (M&A) skyrocketed to a whopping $80 billion, recording a 126 per cent jump on a year-on-year basis. Interestingly, 63 per cent of the total deal value is attributed to the top 10 deals of the year. The Walmart-Flipkart $16 billion deal topped the list. The remaining nine deals were also part of the billion-dollar club. The surge in M&A deal values fuelled private equity exit values to $15.09 billion, an increase of 21 per cent from that of last year, according to the VCCEdge Annual Report. M&A as an exit route was the highest contributor to exit values at $10.42 billion. PE investments deal count in 2018 have fallen for a third continuous year and hit a five-year low. Deal values, however, grew 7 per cent on a year and hit a five-year high in 2018. The number of deals for 2018 stood at 1,057 as against 1,307 (19 per cent decline Y-o-Y) for the same period last year, and the deal value increased from $25.63 billion to $27.34 billion (7 per cent increase Y-o-Y) this year. The year recorded 65 deals with the deal value of $100 million and more, amounting to a total of $20.57 billion. This accounted for 75 per cent of the overall private equity funds raised by companies in 2018. Only PE deals maintained a status-quo in terms of the number of deals as last year, whereas both Angel/Seed and Venture Capital deals saw a decline of 28 per cent and 13 per cent respectively. This indicates that investors are now very cautious about making investments in start-ups and are more interested in companies that have delivered proven results, said VCCEdge. Information Technology, including online businesses and software companies, lead the trend by attracting the maximum investors. In terms of deal value, it recorded a 49 per cent increase on a Y-o-Y basis as well as contributed 31 per cent of the total PE deal value in 2018. The number of deals stood at 489 amounting to $8.7 billion in 2018, against 645 deals with $5.81 billion in 2017. In terms of volume, consumer discretionary followed suit after IT, but in terms of value, financials came in at number 2. This is also because 27 per cent of the total 65 deals with $100 million and above deal values came from the financial sector. The largest PE deal of the year was of Housing Development Finance Corporation Ltd. grossing $1.74 billion. The year witnessed a stupendous exit value of $15.09 billion, an increase of 21 per cent from last year. But there was a 27 per cent dip in the number of exits as compared to the same period last year. The value increased from $12.47 billion to $15.09 billion, while the number decreased from 285 to 209 exits. The increase in exit value can be primarily attributed to the blockbuster Flipkart and Walmart deal in May 2018. It alone contributed to 48 per cent of the total exit value registered in 2018.